The 1st picture shows the reliable marine technician’s back view when the CTD frame is going into the sea water. Because the sea surface gives the sensors a shock, watching is one of the important procedures for him. So, who is him? 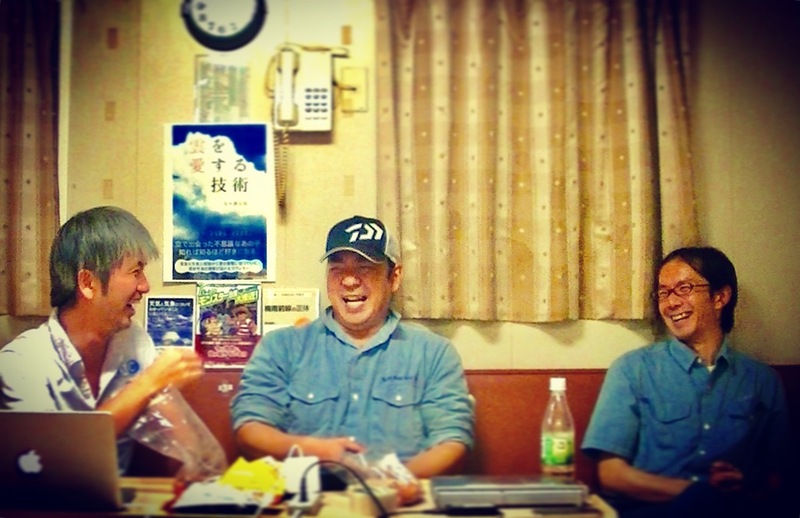 The 2nd picture shows Mr. Hiroki USHIROMURA (Marine Works Japan) laughing between Dr. HORII and Motesaku. It assures you of our friendship. 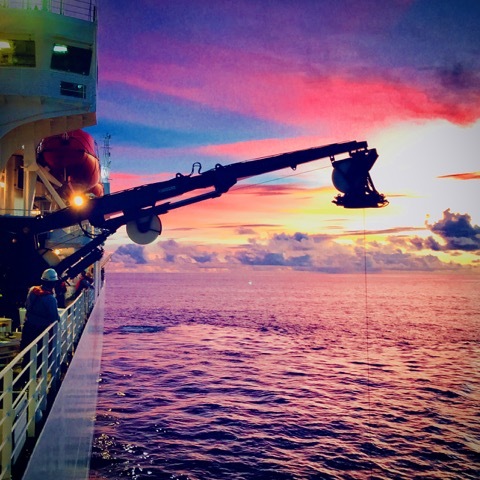 The both of his reliable back and bright face are necessary for us during the long cruise.